Coping with the weather changes seems to be a theme for this winter season. We never know what the weather will be like. With temperatures plunging and rising it is no wonder the garden is confused. 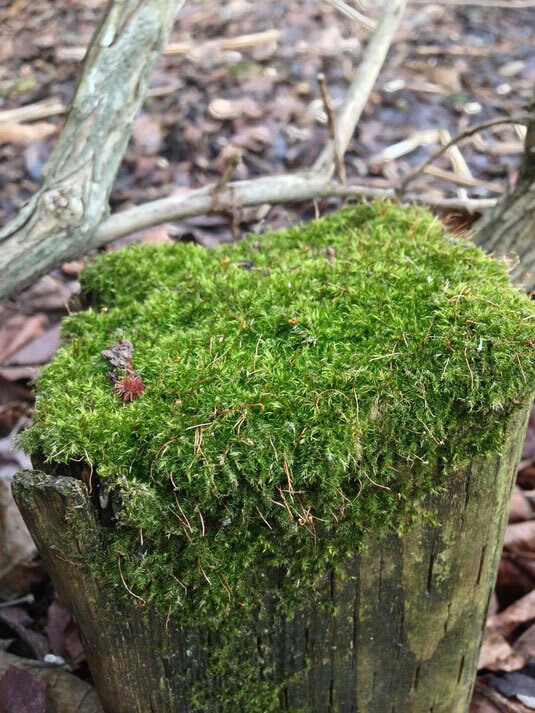 I don't usually see moss growing in February in the garden. However, these damp conditions have made it thrive. Treating reiki clients offers challenges as well. One must protect oneself so as not to absorb any negative energy from the client. The best way to do this is to white light your reiki room and smudging is beneficial too. Using crystals in reiki is another way to add some healing energy to your session. Try practicing on family members and see what crystals seem to be helping them. I like using rose quartz but some of the smaller polished stones are great too such as amethyst and turquoise. Choose stones that appeal to you or your client for your session.